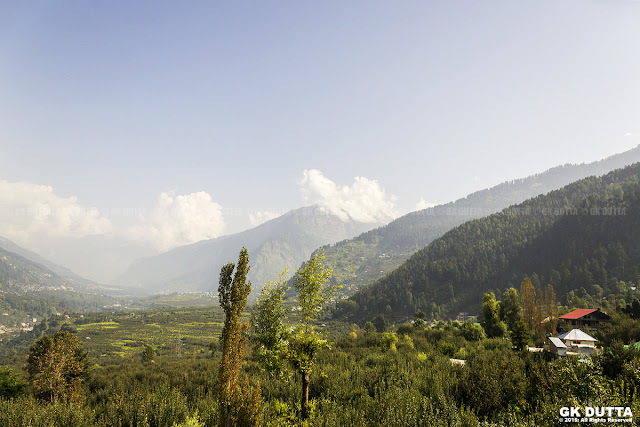 GK Dutta > PHOTOGRAPHY > VALLEY! Hilly trace view of Manali (Himachal Pradesh) from the corridor of Sarthak Resort. It was early morning when the sun getting ready for sparkle, and the blue sky spreading her first look of purity!